With the spring season beginning, athletes will be hitting the field for baseball, softball, and lacrosse. Here are some of our top picks and recommendations for the spring season! 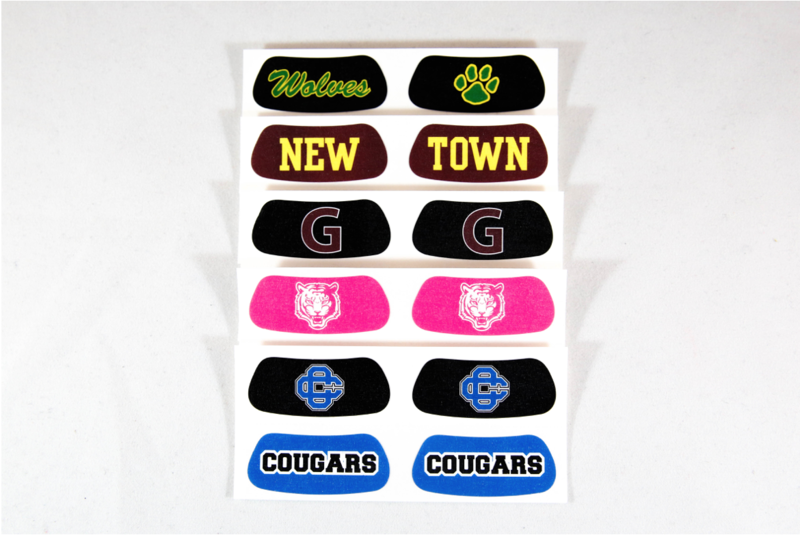 No matter your team’s sport or style, they are always assured to look sharp sporting custom eye black with your team’s logo or name in team colors. Team logo eye black is worn by the baseball and softball pros in the MLB and the NPF (National Pro Fastpitch). 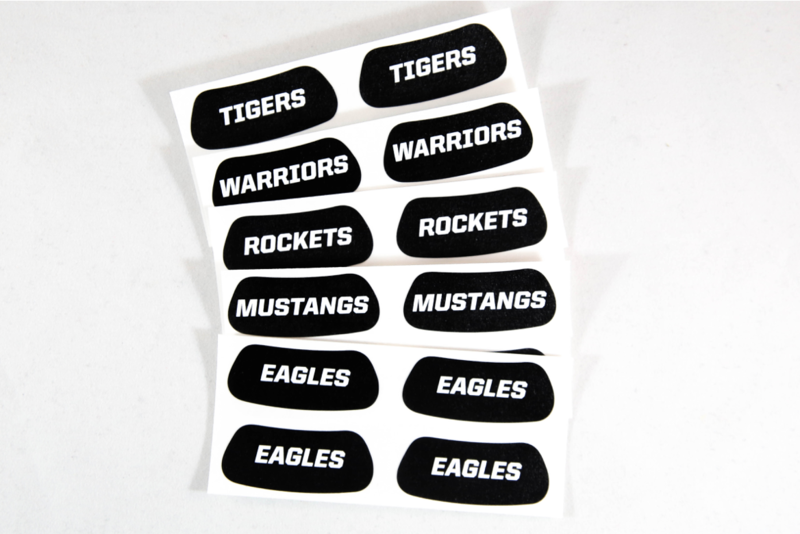 Starting at just 89 cents per pair for 50 pairs, custom eye black is an incredible value with limitless options. Want to get something specific to your team but with no minimum order? Team name eye black is the perfect fit. We now provide 50 of the most popular team names here, so we’ve got your covered from Bearcats to Yellow Jackets. If you don’t see your team name contact us about a custom design. Eye Black + Glitter = a perfect match. 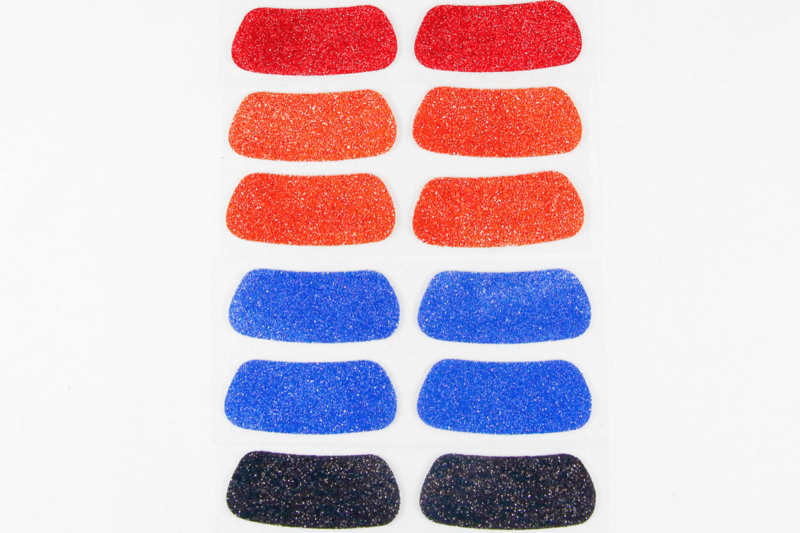 Our Glitter Eye Black strips have a glitter finish, so you get the classic glitter look without the mess that can come with using loose glitter. We have 11 solid colors available here. The classic eye black in a tube. 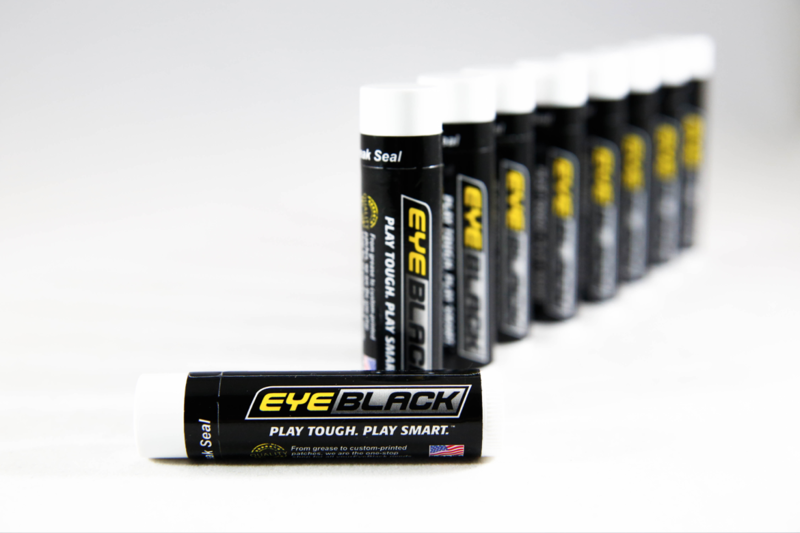 Our eye black grease is designed not to run or sweat off your face in the heat of the game. It also won’t melt in your bags on long tournament weekends. With eye black grease you can create your own unique designs or stick with the classic look. 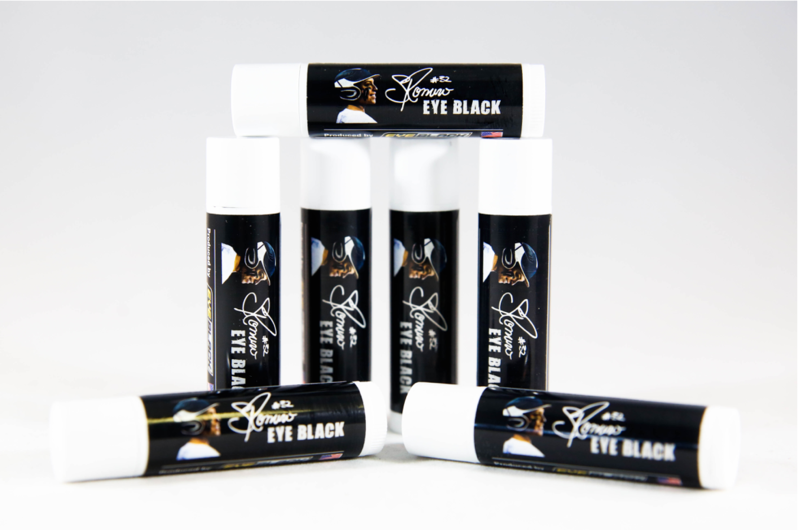 For softball players, we have Sierra Romero’s signature eye black, created specifically for her for on-field use. It is also worn by softball players of all ages across the country. 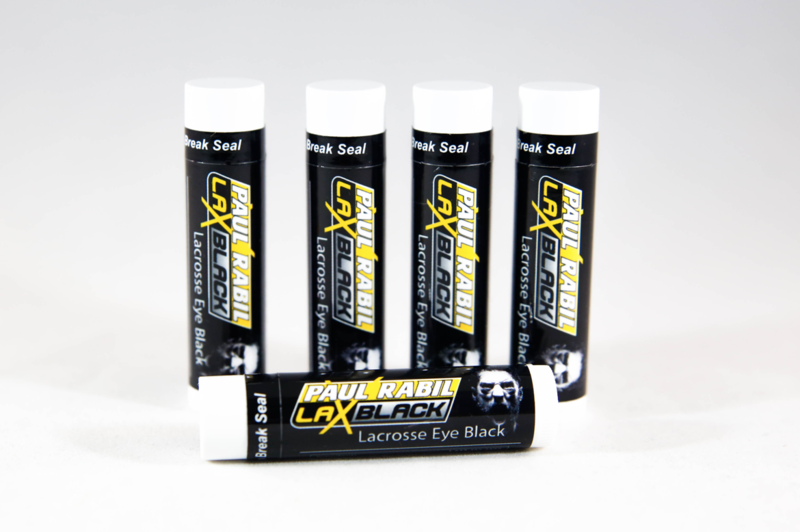 For lacrosse players, we have Paul Rabil LaxBlack, created for and worn by Paul and lacrosse players nationwide.